Plymouth Prowler 1997-2002 Control Arm with Ball Joint - Choose the one you need. This is for one new factory stock control arm with ball joint installed. 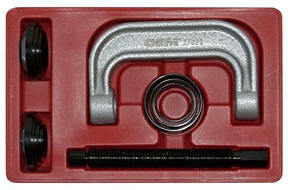 Ball joints are no longer sold alone by Chrysler. 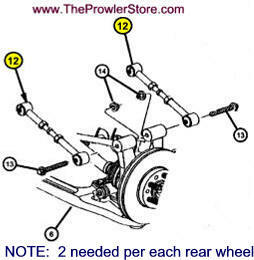 Your Prowler has six control arms with ball joints. In front it has one upper and one lower per wheel. In the rear it has one lower arm per wheel. 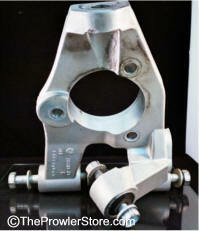 Price is for one control arm with ball joint installed. Call for help. Choose an Arm with ball joint. 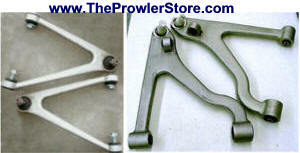 Vastly Improved ball joints from TheProwlerStore.com specifically for the lower front control arm. 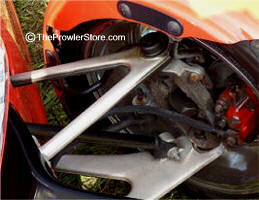 These were designed by American Racing Parts company to be far superior to the originals. 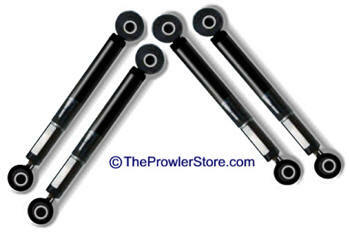 Prowler ball joints were recalled on all 1997 & 1999 Prowlers that we defective. .
Will fit all 1997-2002 Prowlers. This part is designed, made and assembled in the USA. 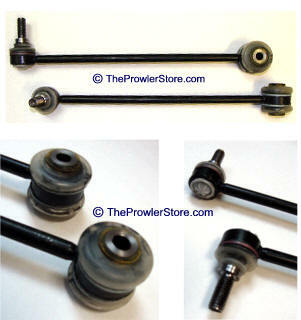 The Prowler store Exclusive ball joint is the final answer for the poor quality OEM style factory ball joint. 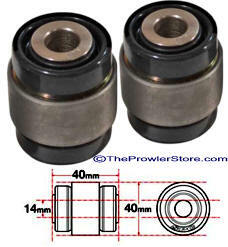 The prowler store ball joint features a CNC machined billet steel housing with a forged steel pin treated with a proprietary coating for long life. 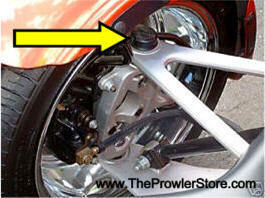 Ball joint is also grease-able to ensure this will be the last ball joint you buy for your Prowler. 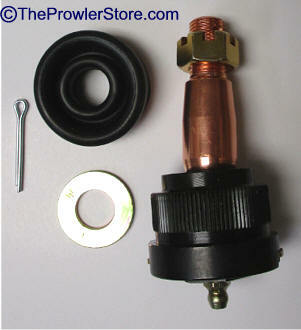 Includes Viton grease boot and hardware to install. The quality is so superior, the joint actually has no internal friction during movement leading to a better ride and and steering. $ 99.95 each In Stock Now! 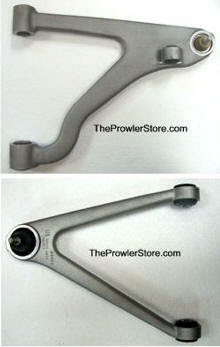 Vastly Improved ball joints from TheProwlerStore.com specifically for the upper front control arm. 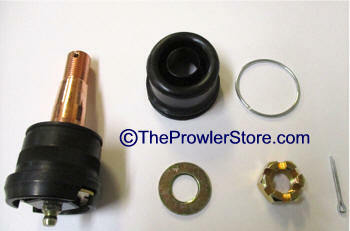 Includes Viton grease boot and hardware to install. The quality is so superior, the joint actually has no internal friction during movement leading to a better ride and and steering. $ 149.95 each In Stock Now! 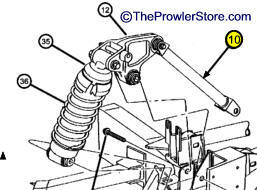 Official Chrysler designed specifically tool only for the Prowler to remove the lower control arm at the ball joint. Miller Tool 8677. No longer available from Chrysler. This will make your life much easier getting the control off the spindle which is customers biggest complain about the job. You pay $89.00 plus $13.95 shipping for the use of the tool for 3 weeks. Additional $5.00 a day after that if not returned on time. In addition, you pay a $210.00 return deposit. Once the tool is returned undamaged you receive your $210.00 deposit back. 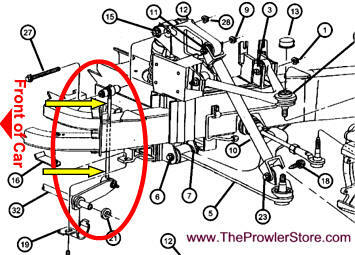 The above tool removes the lower control arm from the spindle. Now that it is separated you must remove the ball joint from the control arm. Then you need to reinstall the new ball joint. This tool kit does both the removal and new install. You pay $45.00 plus $13.95 shipping for the use of the tool for 3 weeks. Additional $2.00 a day after that if not returned on time. In addition, you pay a $85.00 return deposit. Once the tool is returned undamaged you receive your $210.00 deposit back. *Include your name and address and phone number inside the box. Factory replacement sway bars for front suspension. Same part fits either side of car. Prowler requires two. 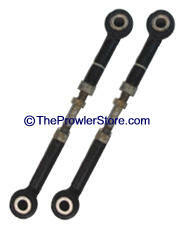 Heavy duty upgrade replacement sway bars for front suspension. Same part fits either side of car. Prowler requires two. 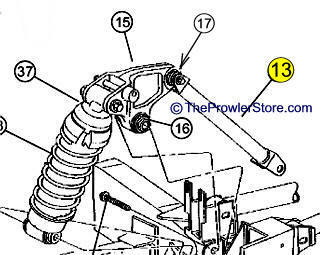 Factory replacement trailing links suspension. Same part fits either side of car. Your Prowler requires four (4) of these in total. 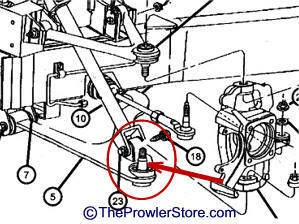 NOTE: This part number is for the 1997-2000 Prowlers. However, since the 056489AA is no longer available for the 2001-2002 this part will fit these years as well. After installing these be sure to re-check your front end alignment. 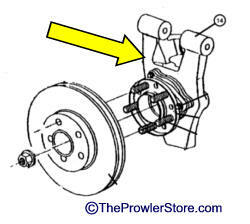 Note: This part for 2001-2002 Prowlers is NO Longer available. Therefore use this part instead, it will fit. Number 12 on diagram to the left. Up grade to factory stock bushings. Replaces factory part number: 4815307 (Part# 17 in diagram). 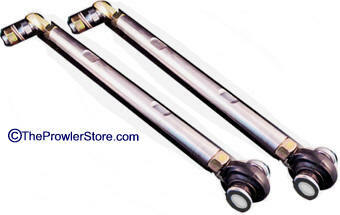 Prowler Factory original Push Rod suspension part. Fits both pass and driver sides. Choose new or used. 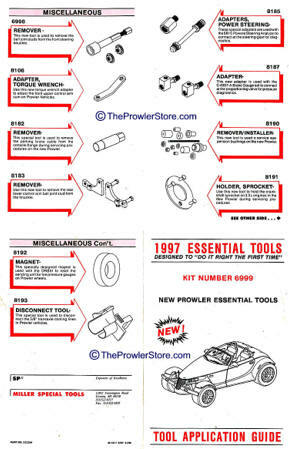 Official Chrysler approved tool kit. 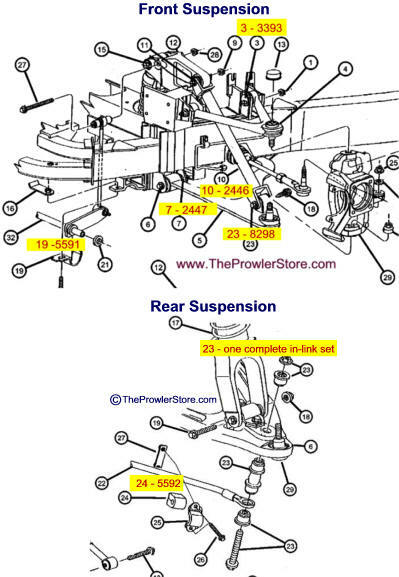 Specifically for the Plymouth Prowler suspension system. 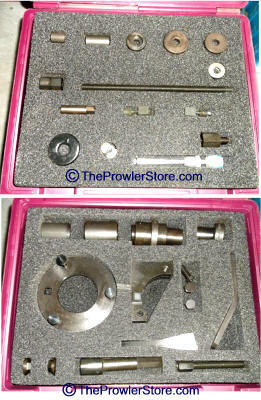 Includes Miller Tool 9024 shocker absorber removal tool. Excellent condition. Read more details about the tool kit. 6998 -1/2/3/4 - Nuts Screws. You pay $99.00 Rental fee plus $9.95 shipping for the use of the tool for 3 weeks. Additional $9.00 per day after that if not returned on time. In addition, you pay a $350.00 deposit. Once the tools are returned undamaged you receive your $350.00 deposit back. 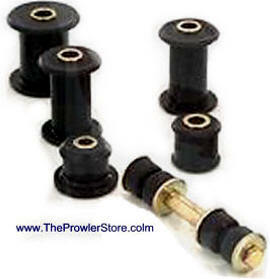 Performance suspension bushing kit for your Plymouth Prowler suspension. Much improved tighter suspension with better more nimble control like a race car. Feel the difference. 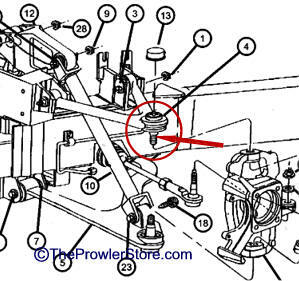 * Does not include "Trailing Link bushings"
NOTE: We recommend that you have a professional mechanic install these items and ensure proper torque specs are met. 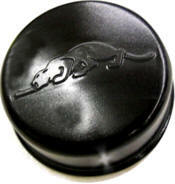 Factory stock part to replace the black cover 3-D raised Prowler Kat Logo cap over your A-Arm ball knuckle. Fits both sides. This item is for one cap. 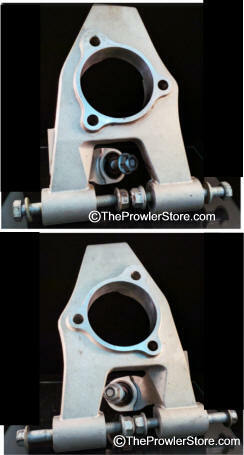 Prowler Factory original Rear Knuckles new or used. Choose passenger of driver side. Number 10 in diagram. 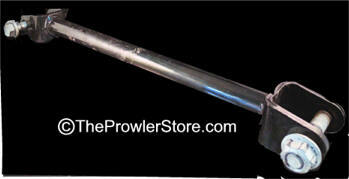 Prowler Factory original Push Rod suspension part. Fits both pass and driver sides. Choose new or used. Number 12 in diagram. 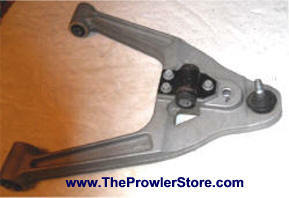 Prowler Factory original front Rocker suspension part. Drivers side available. Passenger side is discontinued.